If you find yourself downtown between now and October, make sure to drop by the Victoria Street Professional Building, 635 Victoria St. and check out the student art exhibit outside the Chahal Priddle law firm. 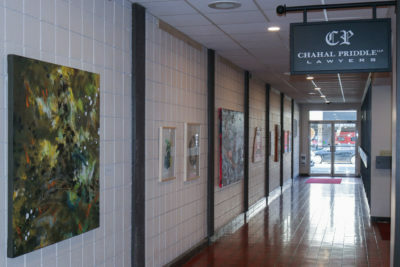 Earlier this year, Chahal Priddle LLP partnered with TRU’s Visual Arts program to make their downtown office building corridor available as an exhibition space. Though this exhibit and partnership between TRU and a Kamloops business is the first of its kind, Chahal Priddle is no stranger in supporting the university. Since 2016, the firm has been a sponsor of TRU’s WolfPack. 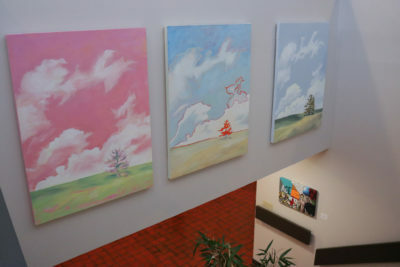 Priddle, who has been an art aficionado for most of her life, has been to many events in town put on by the Kamloops Art Gallery and the Kamloops Art Council. However, she admitted that she hadn’t been seeing enough up-and-coming art from new artists. This inspired her to push for a student exhibit outside her firm’s office. “Everyone has heard the expression starving artists and I wanted to provide more support to artists,” she said. Priddle originally pitched the idea for an art exhibit to the late vice-president of advancement Chris Seguin at the 2015 Mayor’s Gala for the Arts. Unfortunately, Seguin passed away before anything could come of it. However, Priddle was in attendance at this year’s Mayor’s Gala for the Arts back in January. There she made contact with the TRU Foundation and by the following Monday was put in contact with TRU’s Visual Arts department. With help from family and friends, the area outside the law office was transformed into space more fitting for an art exhibit. The art exhibit also doubles as a contest. The public has a chance to vote on which piece is their favourite, with the winner receiving a $2,000 bursary sponsored by the law firm. The winner of the “Chahal Priddle Arts Prize” will be announced at a black-tie fundraising event held later this October. “They offered a new partnership where they are generously donating a $2,000 scholarship to the winner of this voting contest on the artwork,” says Erin Jensen, an event coordinator with the TRU Foundation. In addition to this, students will have the chance to auction off their work at the associated black-tie event. 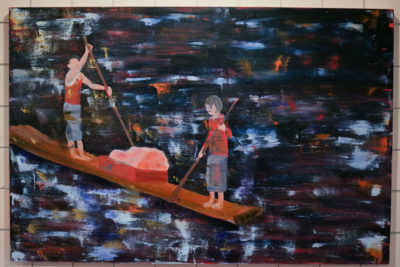 They will receive 50 per cent of the profit from the auction, with the other half going to an endowment scholarship program award for TRU Visual Arts. However, students aren’t required to sell their art, they can keep it if they want. To Priddle, allowing the public to come in and view art at no cost is perhaps the most important part of hosting this exhibit. 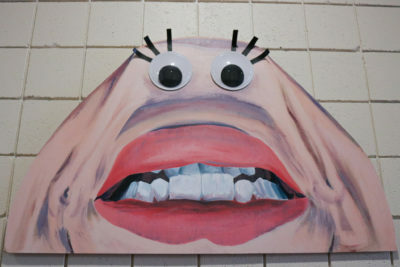 She adds that it is an excellent opportunity to view and possibly own an original piece of art. When asked about future partnerships between the university and businesses in town, Jensen said that this is only the beginning, as this exhibit and the associated event serve as a platform to build other successful partnerships. You can vote for your favourite piece here.